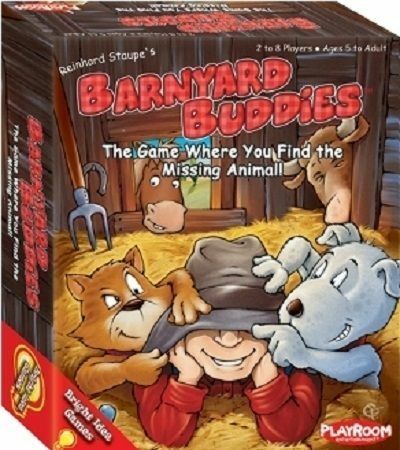 Farmer brown has many Barnyard Buddies™ on his farm. He has five different animals in each of five different colors. Every night he has to check the barnyard to make sure all of his animals are there. Today, though, they are playing hide and seek! Can you help Farmer Brown find all of his animals? To figure out which animal is missing, look at the herd card to discover which animal is not present, then quickly find it among the animal cards scattered about. Be the first to grab the card showing that animal, and collect the most to win the game!